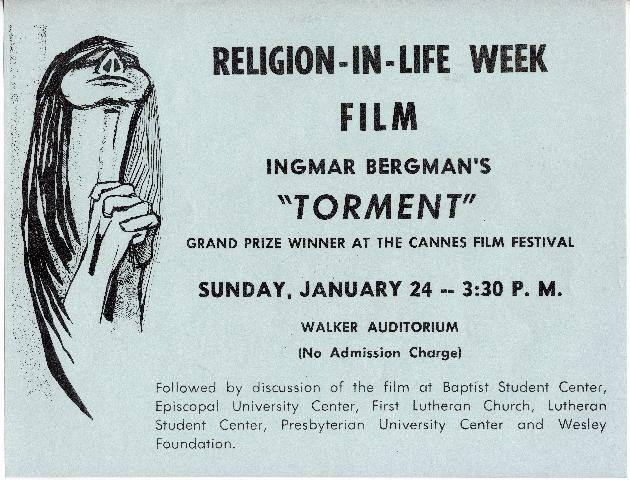 An poster advertising the showing of the film "Torment" by Ingmar Bergman on Sunday, January 24, at 3:30 P.M. Discussions would follow at several churches. The same drawing as in G-356a appears on the left side of the poster. "Grand Prize Winner At the Cannes Film Festival"